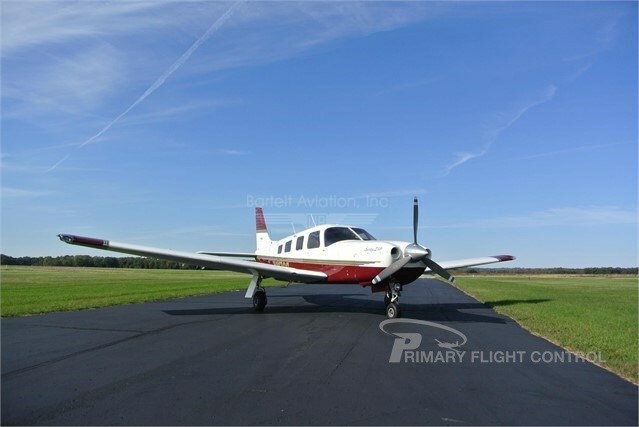 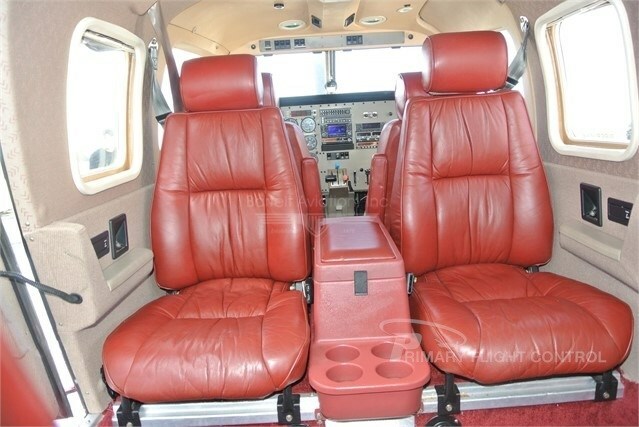 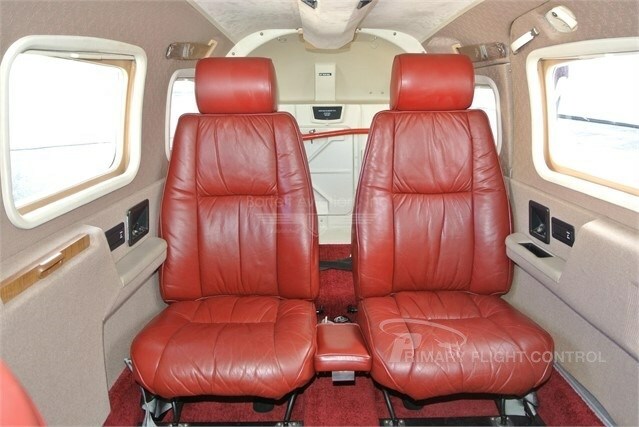 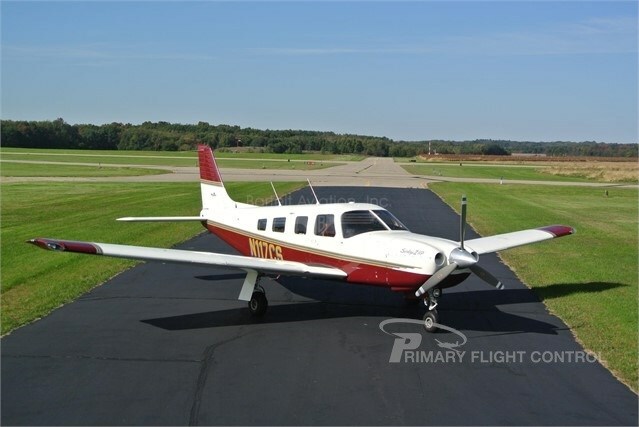 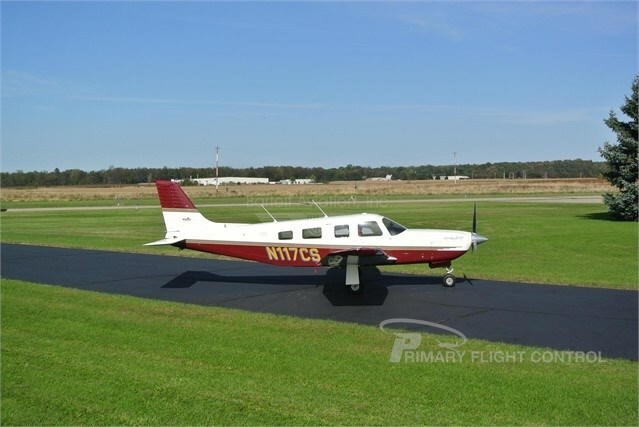 N117CS, 1996 Piper Saratoga HP - 2051 TT, 746 SMOH, KFC-150 Flight Director Autopilot, HSI, Garmin 430W GPS, Garmin GTX-345 ADS-B Transponder (IN & OUT), Club Seating, Wing Tip Lights, Electric Stand-By Vacuum, Factory Air-Conditioning! 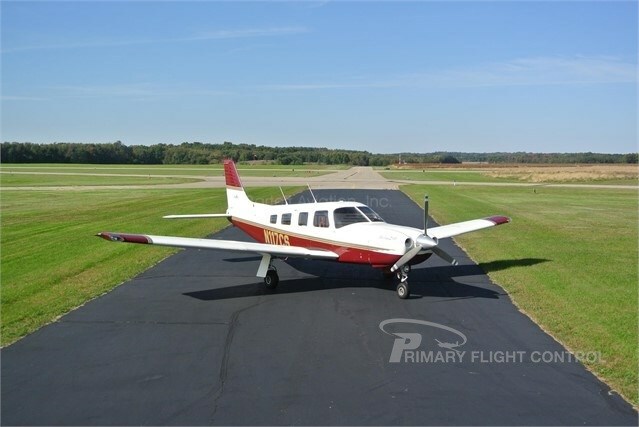 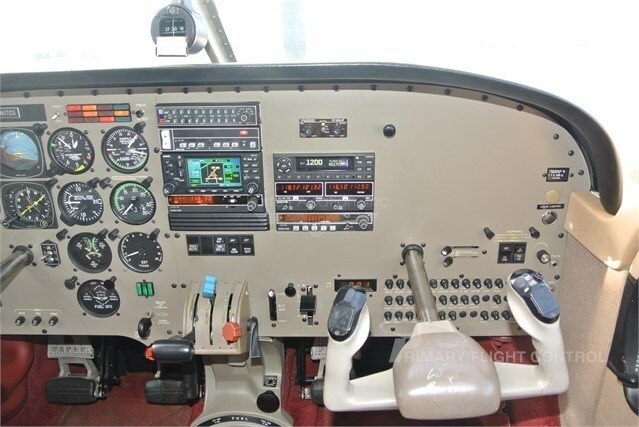 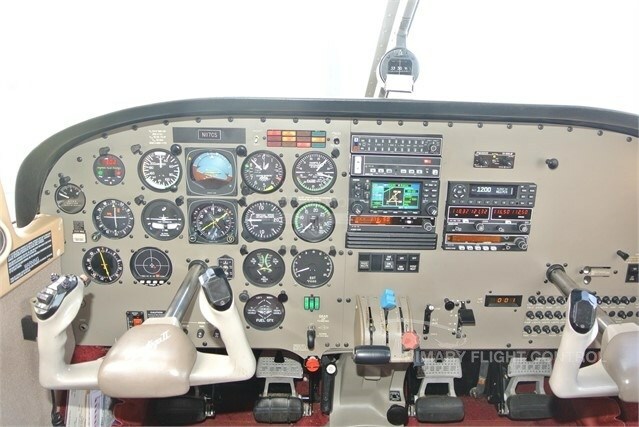 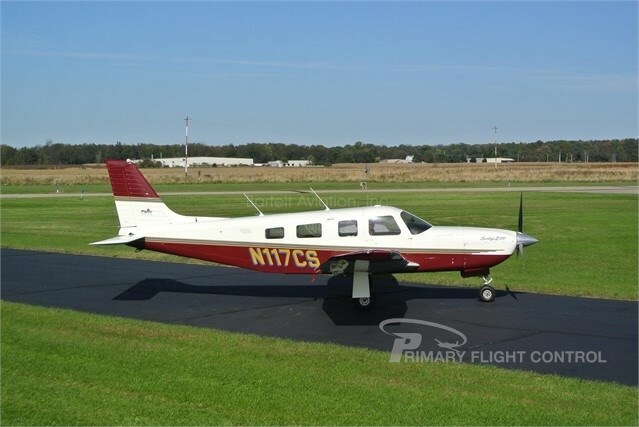 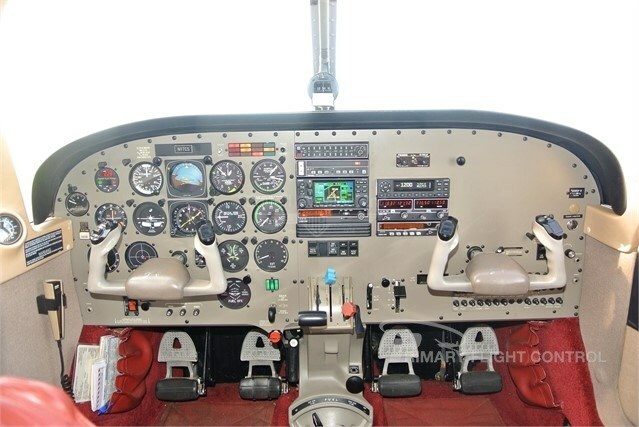 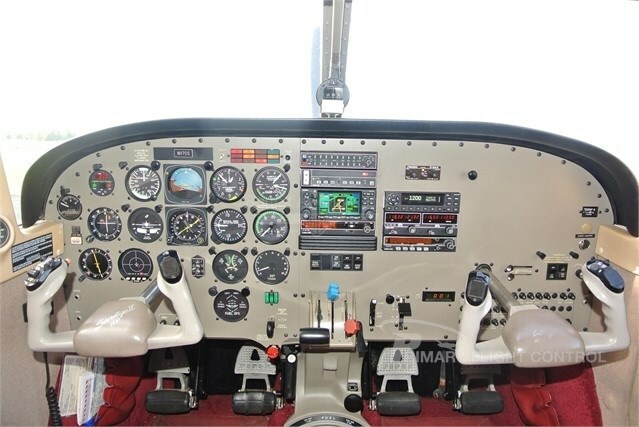 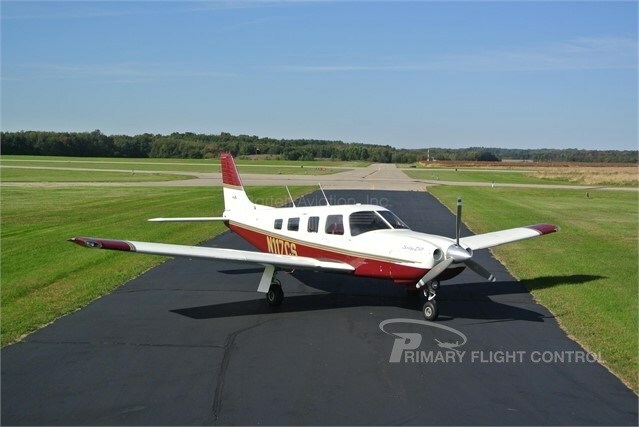 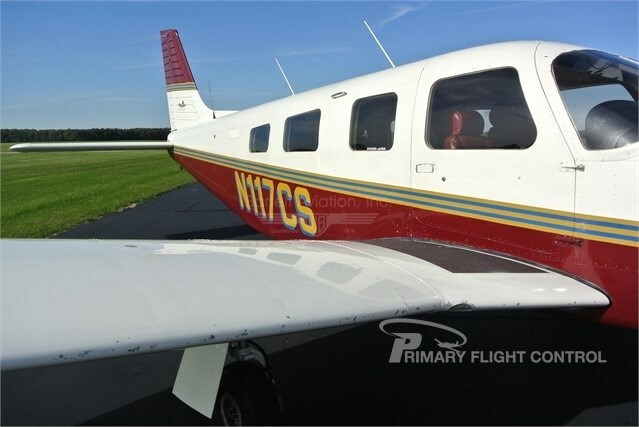 ANNUAL DUE: November 1, 2019 BI-ANNUAL IFR CHECKS DUE: February 28, 2019 USEFUL LOAD: 1136.88 Pounds MAINTENANCE NOTATIONS • The aircraft has had a significant amount of the maintenance performed at Flightline Group who is an authorized Piper Service Center. 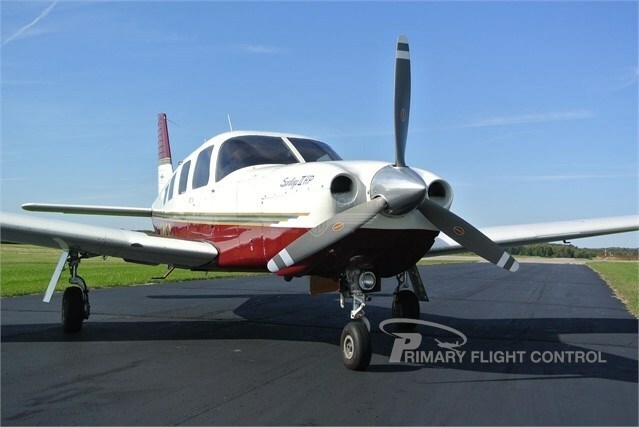 • Flightline Group has complied with several service bulletins and Piper Special Inspections to promote safe operation of the aircraft. 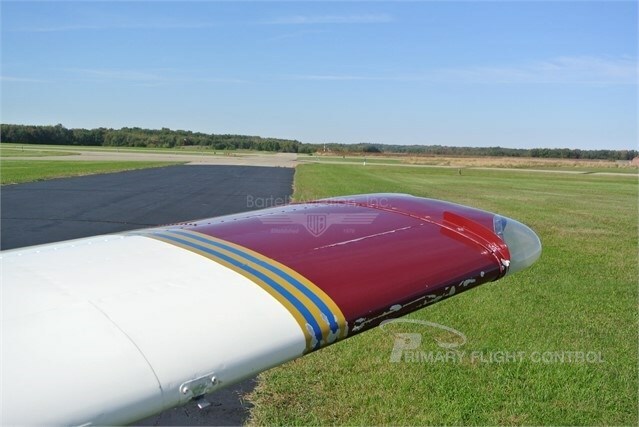 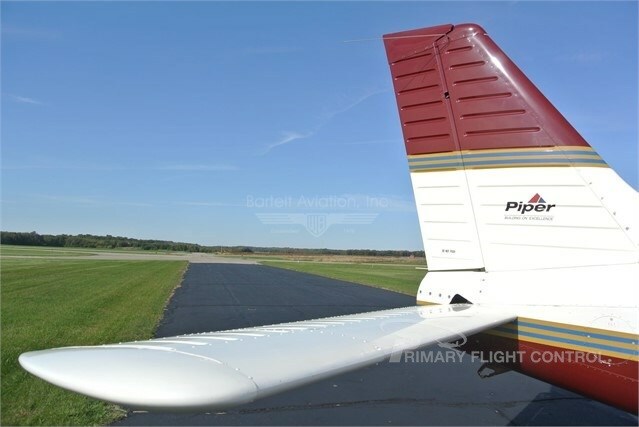 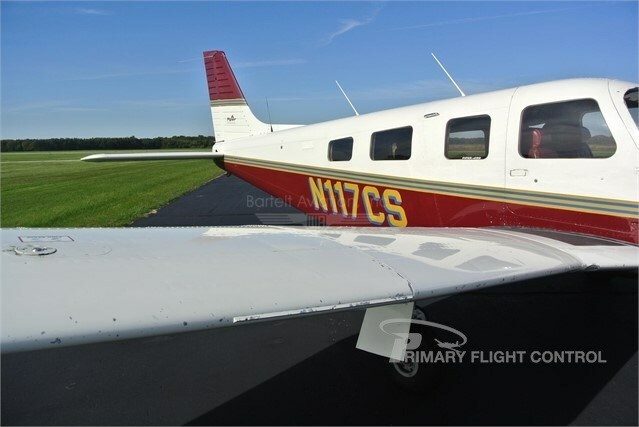 • Left aileron skin was replaced during compliance of Piper SB 1216 on February 15, 2013. 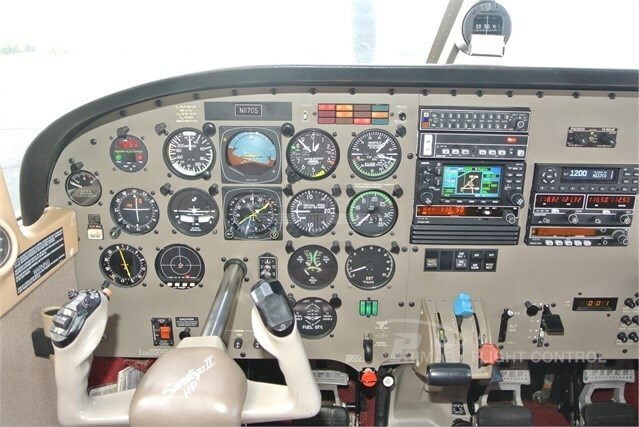 ADS-B Equipped Specifications are Subject to Verification upon Inspection. 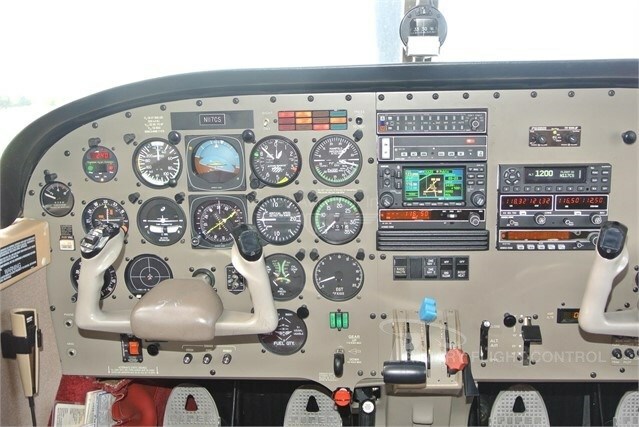 Optional Saratoga Flight Training School is available. 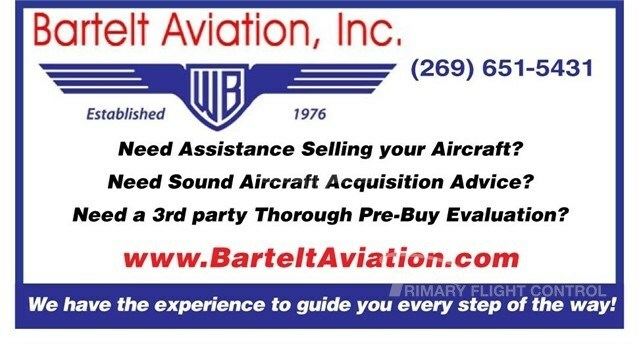 We accept trades and offer a variety of financing solutions. 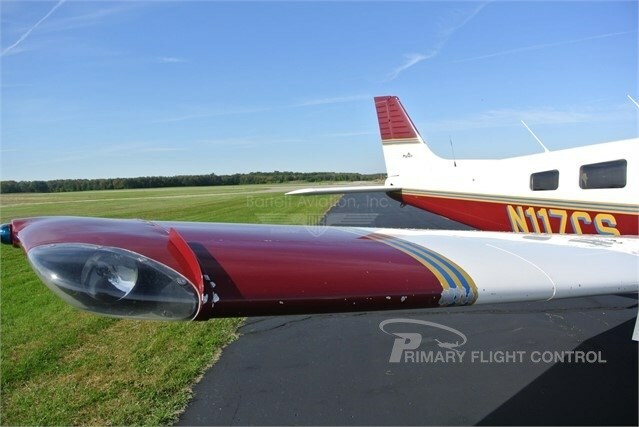 Exterior: White over Maroon featuring Gold and Blue Accents • The exterior is showing its age. 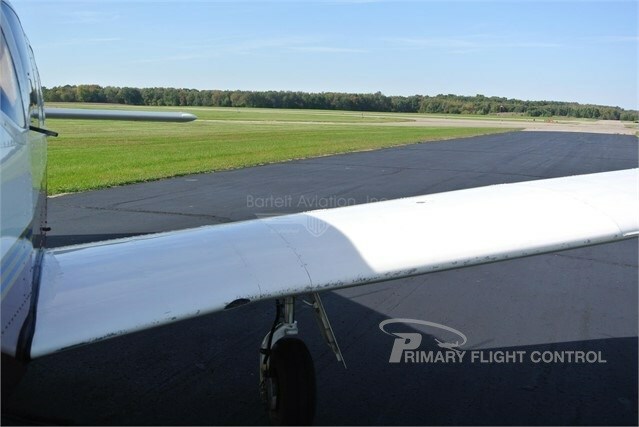 • Wing leading edge paint wear is noticeable in addition to other areas. 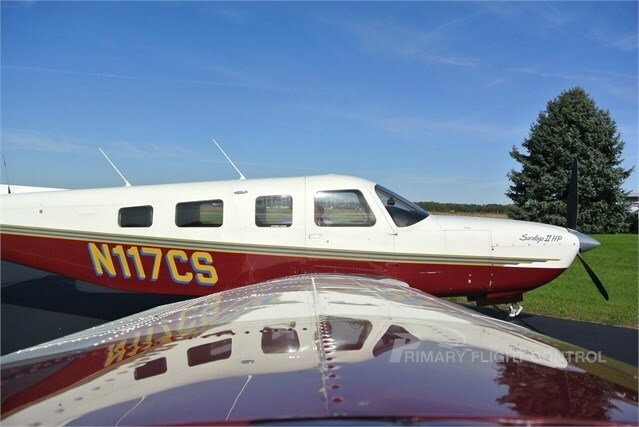 • We would recommend the next owner paint the aircraft sometime in the future. 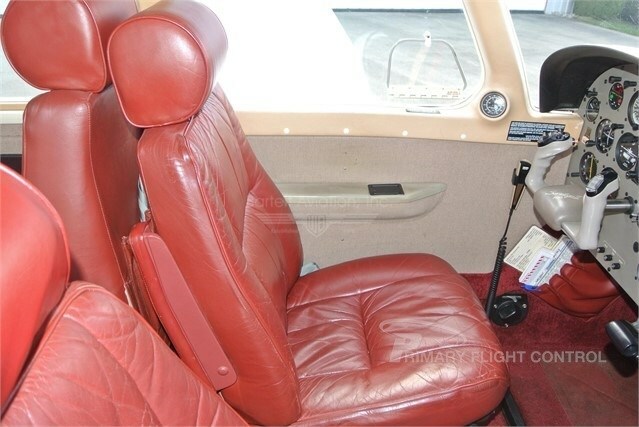 Interior: Deep Red Executive Style Leather Seating • Color-coordinated headliner and harmonizing side panels. 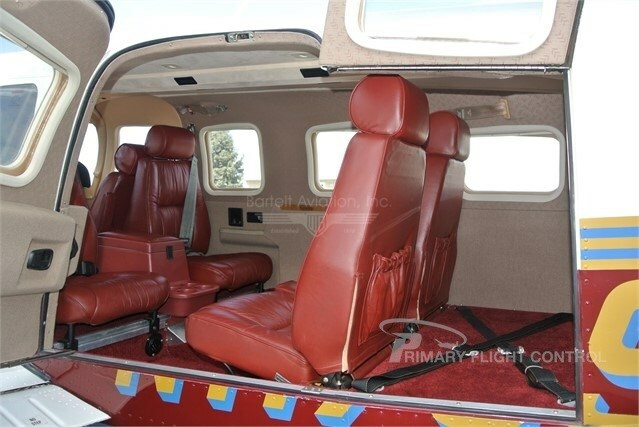 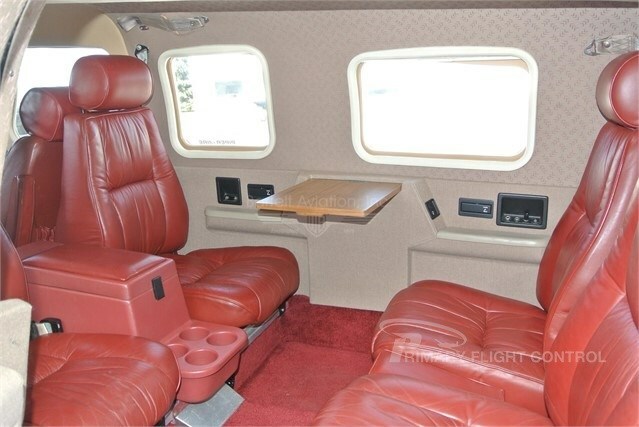 • The rear Cabin features Club Seating and Pleated Window Shades. 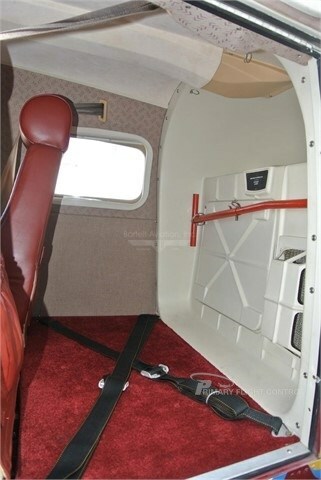 • Deluxe Refreshment Bar. 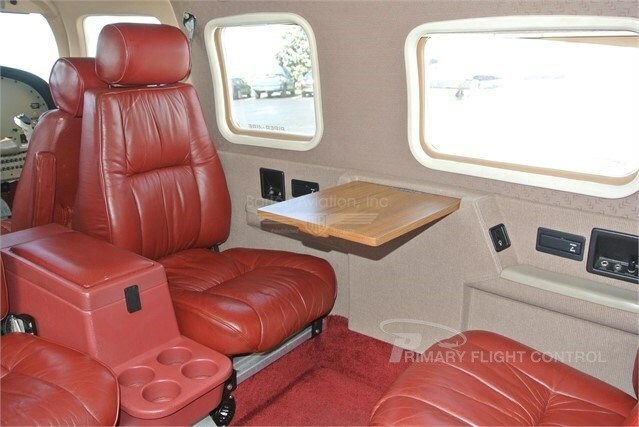 • Executive Writing Table that can be mounted in the rear cabin.